Last year, I remarked at how interesting it was to see indie developers use SAGE as a way to promote games they’re selling on Steam. At the time, I was talking about Clash Force 2, a game that seemed to blend Sonic the Hedgehog and Contra, developed by Spicy Gyro Games and published by Shiny Dolphin. 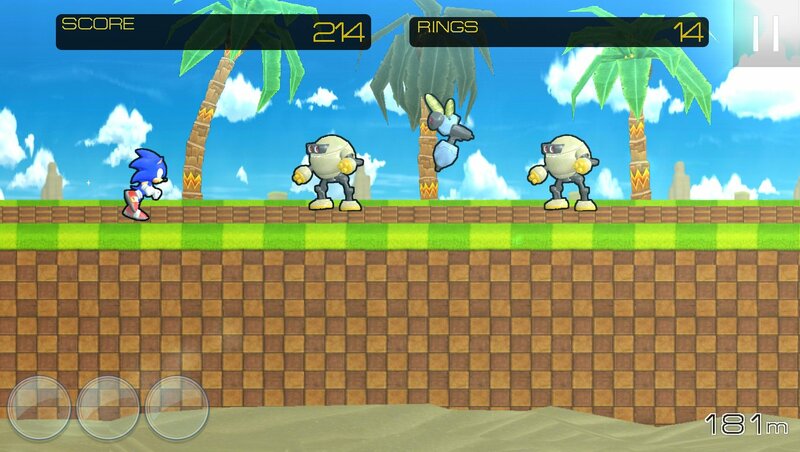 This year, that duo is bringing us Polyroll, a game that much more clearly resembles Sonic. This time, you play as a pillbug that can roll and bounce around a colorful environment. Though the Sonic inspiration is obvious, Polyroll feels completely different in most aspects, bucking the trend of games like Freedom Planet and Spark the Electric Jester. Check it out. Don’t be too put off by how simple Sonic J looks. Sometimes, simple is good, and Sonic J ends up working with what it’s got pretty well. It almost takes on a sort of “endless runner” quality, where your goal is to maintain your momentum at all costs while narrowly dodging twitch-reflex obstacles. It’s not going to win any awards for visual fidelity or anything like that, but it all ends up coming together regardless. You might be surprised. My only real complaint is how easy it can be to die; bottomless pits are kind of frequent, and coupled with the game’s lack of checkpoints, a single misjudged jump can destroy multiple minutes of progress. Yikes. It’s probably a sign of how long I’ve been covering SAGE, but games like Sonic Pursuit are starting to become my favorites. By some measurements, Sonic Pursuit is very rough around the edges. The way cutscenes animate, the graphics, the music — all of it could use some work. Now to be fair, it’s listed as an Alpha, so this game is clearly communicating that it knows it is early days yet. But what I feel in Sonic Pursuit is love. The worst thing a fan game could do is have pointless fluff, but I don’t get that sense from Sonic Pursuit. It may be rough around the edges, but it’s purpose-built with care. I think this could end up a pretty cool game if it gets finished. I hate to be harsh on games these days, but Sonic Special Runner is… well, if we’re being honest, it’s barely a game. Near as I can tell, there’s no level design to speak of. 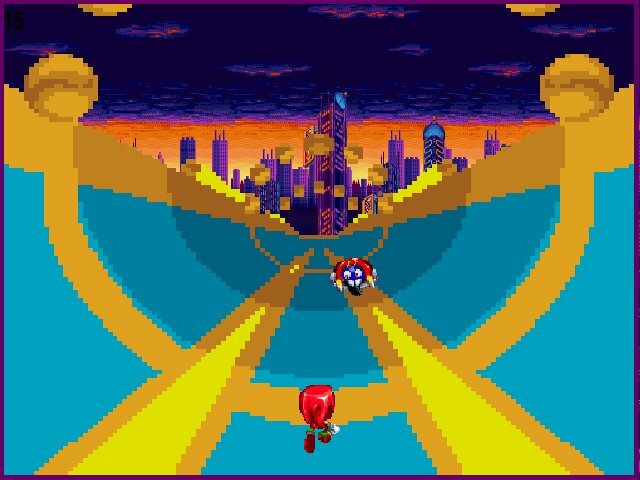 You push the up arrow on your keyboard and you begin running down the Sonic 2 half-pipe. Pushing left or right will allow you to turn, which is to say, you’ll create a turn in the half-pipe. There’s no sense that you’re actually going anywhere or doing anything; it doesn’t even feel like you have direct control of your character. Sometimes, rings and badniks will appear above you. Rings will be automatically collected and you must press the space bar to trigger a spin animation that will destroy the enemy. Once you start spinning, you’ll be stuck in your spin animation until the next time you touch the keyboard, effectively making you invincible if you know what you’re doing. It’s almost like those Tiger Electronics LCD games they had back in the 90’s, but even those had more gameplay than this. Obviously, this is someone’s first game, and I know that figuring out what a video game even is can be a difficult prospect. Games are a series of tests or challenges, so I hope they go back to the drawing board and come up with something better for next time. Last year, I found myself completely baffled by this game. Was it a joke I just wasn’t getting? Was it somebody’s first game? Whatever the case was back then, Home Saver seems like it might be leaning in to its own weirdness this year. Or maybe the author just speaks English as a second language. 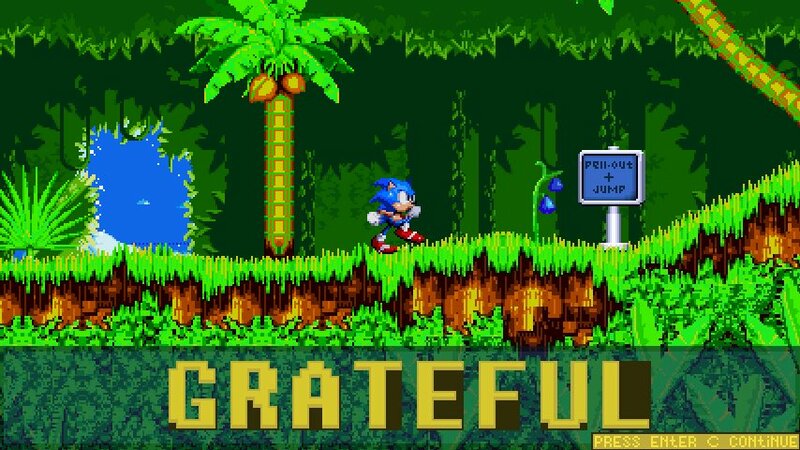 Either way, completing Sonic’s section of the tutorial and getting huge text telling me “GRATEFUL” is pretty amazing. 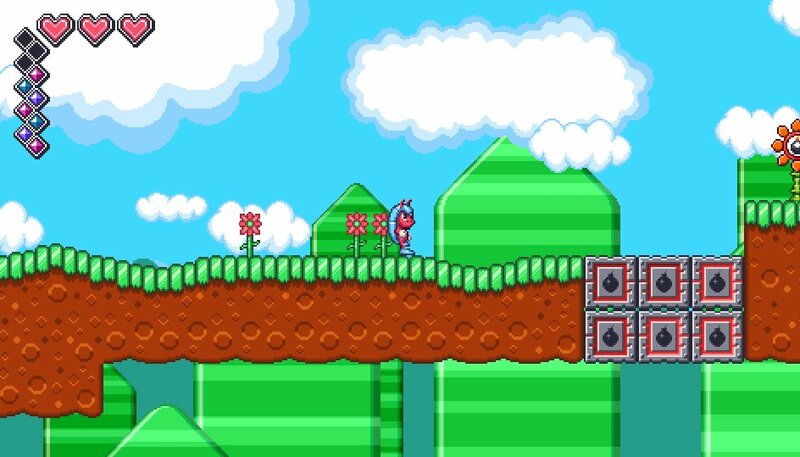 Anything beyond that and you’re on your own; the tutorial instructs you how to use three different jump buttons, and in the level directly following, a Sky-Chase-esque zone, the game broke and enemies stopped spawning after a certain point. It’s not quite as BLATANTLY weird as it was last year, but it’s still pretty weird. Reviews-wise, there’s not much to write about here. This is a collection of Clickteam Fusion source code from LakeFepard, the developer behind Sonic Before the Sequel, After the Sequel, and Spark the Electric Jester. Each build is specialized to a different function, and for those of you who don’t have the means to mess with the source code, playable executables are also included for most things. Unfortunately, unless you plan on using this stuff as a learning tool, there’s really not very much here to play, so non-developers can probably safely skip this. Appearing for its third year in a row, the Sonic 2006 remake/remix provides yet another level from the legendarily awful game to poke at. 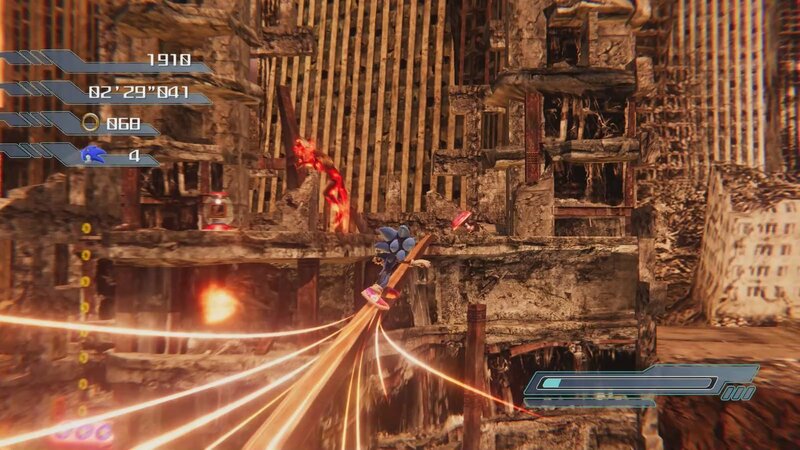 This time it’s the game’s best level, Crisis City, and this time around, Sonic NEXT is showcasing a significantly wider array of changes and improvements. The most pronounced here is lighting quality, which benefits from Unity’s physically-based renderer to provide detail beyond what was originally possible. Combined with a new motion blur shader, the end result can actually look pretty nice. Unfortunately, in practice, the game is perhaps harder to play than ever. There have always been shades of the original game’s buggy nature to be found in this project, but it’s always been managable. Something about this build feels different. Maybe it’s just the general chaos of Crisis City’s physics systems, but I kept getting myself stuck or killed by the most random, unpredictable things. It probably doesn’t help that the game refuses to properly configure for my Dualshock 4 controller. Though the square button was supposed to be for the lightdash, it always registers multiple inputs for both lightdash AND jump. I ended up having to decipher the weird way things were configured and getting used to it. What a beautiful mess. Bless Brandon506042 for trying to keep the spirit of Sonic Runners alive. That game was killed before its time, and Sega’s attempts to further the Sonic Runners brand haven’t exactly set my world on fire. 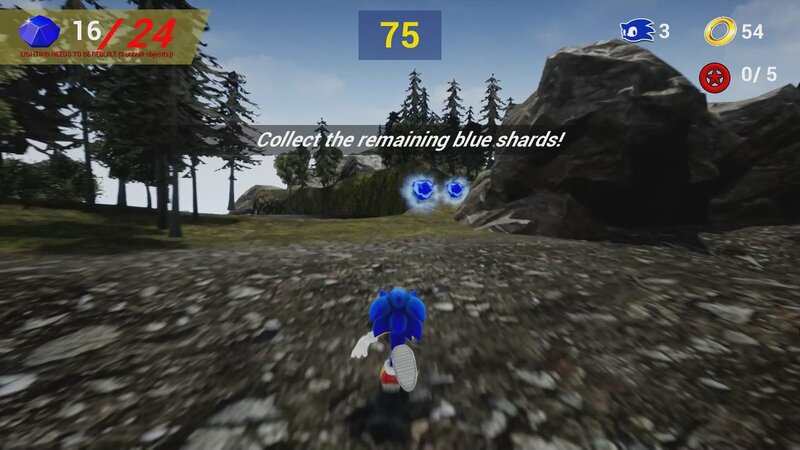 Reloaded tries to reboot Runners to look more like Sonic Forces, which is in line with things like Sega’s own Sonic Forces Speed Battle. Unfortunately, while its heart is in the right place, it just… doesn’t play like Sonic Runners. 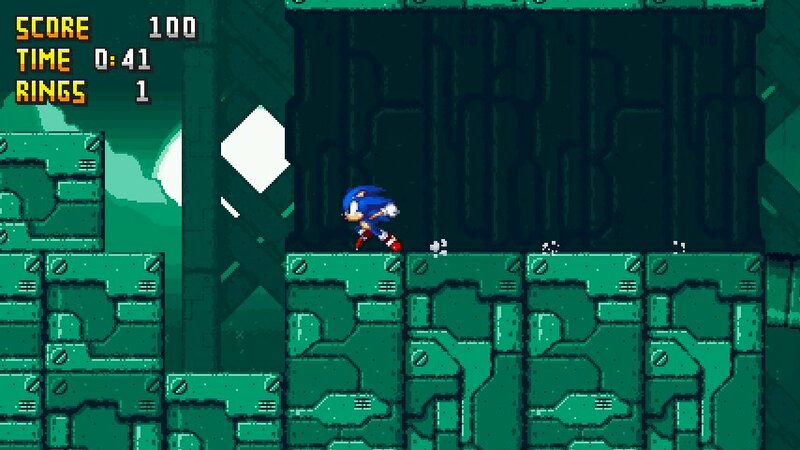 Notably missing are Sonic’s signature physics systems, which could be used to boost your speed. It’s an incredibly short demo, though, so things are probably just early. I hope this sorts everything out, because there’s a Sonic Runners shaped hole in my heart waiting to be filled. I don’t want to be too self-aggrandizing here, but it really seems like portions of this game were built upon ideas I expressed in my video last year about “How to Fix Sonic the Hedgehog.” Even if it’s not directly referencing that, it hits on some similar ideas, so it’s definitely interesting to see them in action and get a feel for what works and what might not work. Unfortunately, the issue here is level design. 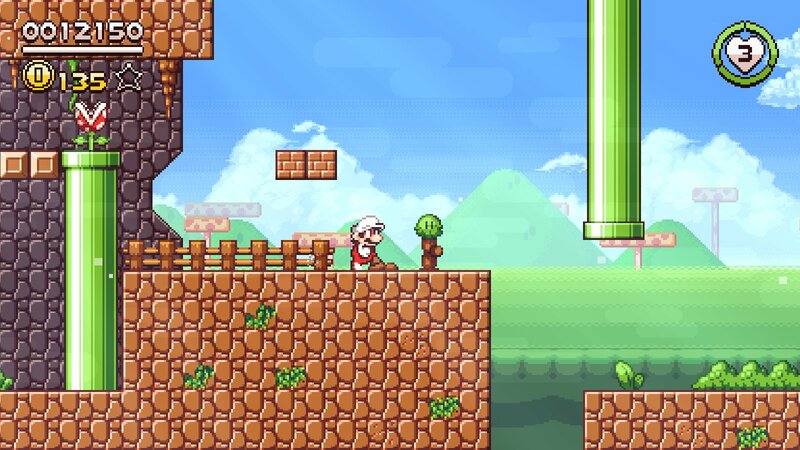 I guess the developer was going for something more along the lines of a Super Mario 64 playground-style level, and it does work as one of those, but it still comes off feeling a little basic — like generic stock assets squeezed in even though they don’t entirely match the source material. There’s also a dearth of objectives, as you’re required to hunt down a lot of blue shards in each section before it’ll let you move on. For a game with “Explorers” in the title, that doesn’t seem like it encourages exploration. Still, though, there’s potential here. I’ll be honest with you, readers: based on the screenshots for this game, I wasn’t actually expecting much. The HUD is comically large, and not all of the graphical elements in the levels themselves seem to fit together. 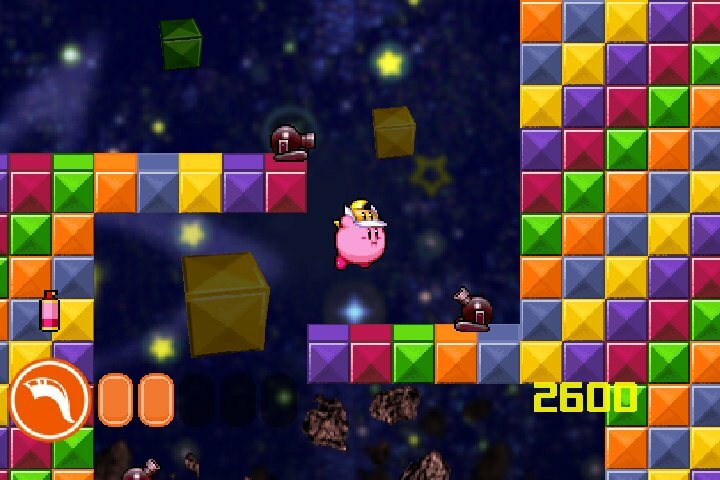 But once you actually get your hands on it and start playing, it feels exactly like a Kirby game should. Control is tight and responsive, enemies behave the way they should, and there are even a couple of new twists and surprises. Consider me impressed. Last year, this game was unfortunately plagued by Game Maker script errors — but what could be seen in between bouts of the engine struggling to render the game seemed alright. Thankfully, the scripting errors have been cleaned up this year, leaving us with a clearer look at the game itself. And… yeah. 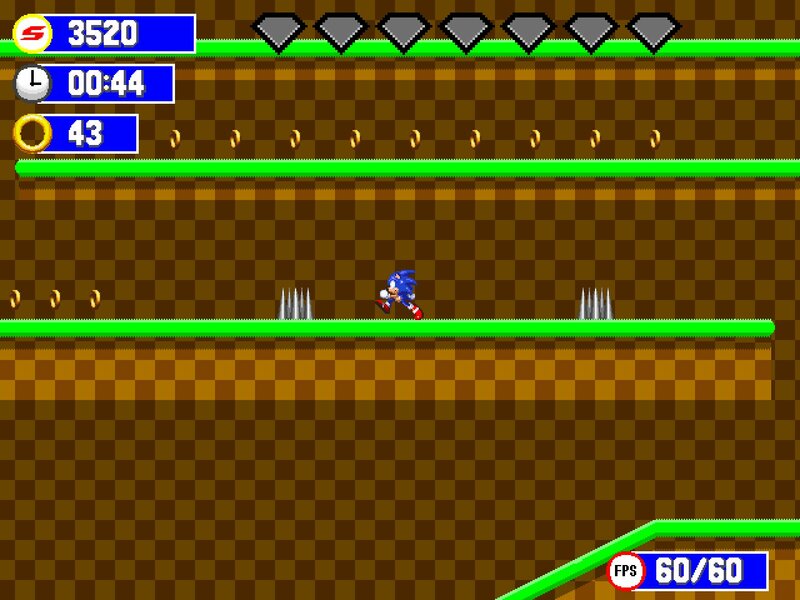 This is a very solid, classic-styled Sonic fan game that picks a unique theme and then spins a whole game around it. 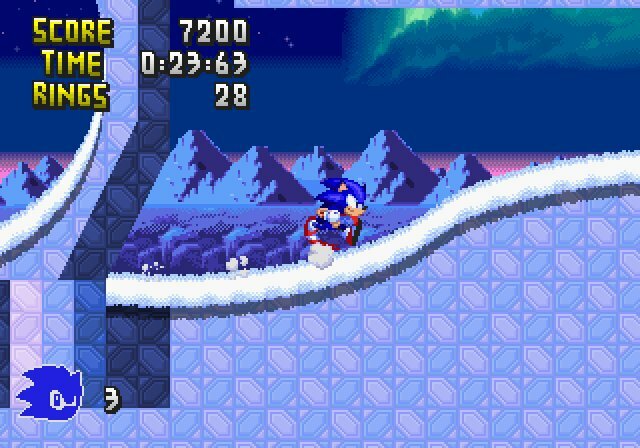 In this case, it’s a bunch of winter-themed stages. It probably won’t blow your mind or anything, but not everything has to be revolutionary. Sometimes you just need something dependably enjoyable, and that’s exactly what Sonic Frost is shaping up to be. It’s just a shame the controller support appears to be broken; I had to outright disconnect my controller entirely from my computer to even get the keyboard support working. The joys of being a Dualshock 4 owner, I guess. Still, this is worth a download.